Staff and pupils at St Christopher School in Letchworth are delighted with this year’s very strong A-level results: 30% of all grades this year were A* or A. 19% of grades were A*s against a national figure of 8%. This is particularly impressive for a school that is not narrowly academically selective and one that welcomes boys and girls from the same family on that basis. Head of St Christopher, Richard Palmer, said: “These results are the culmination of two years very hard work. We are all very proud of everyone’s achievements. 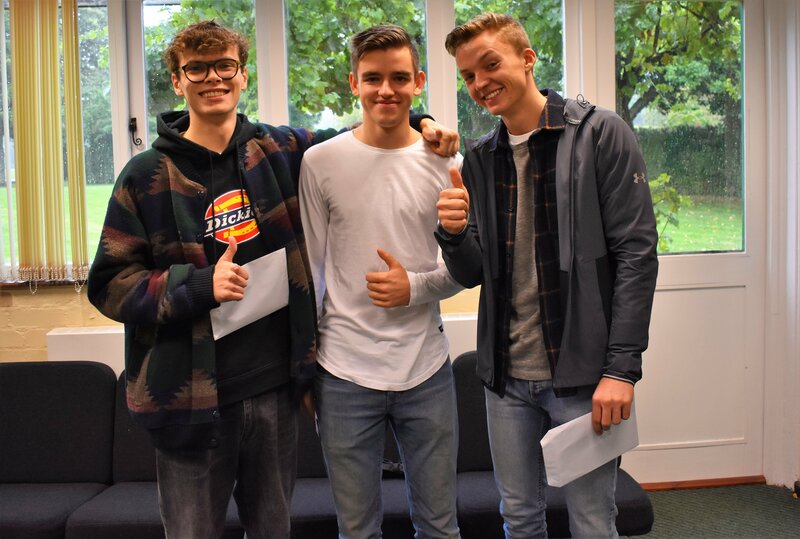 Of course there were a number of outstanding academic performances in the exams: George Balden achieved four A*s; Daniel Camp three A*s and an A; Tom Rice three A*s; Joey Harrison two A*s and two As and Emily Ilott one A* and two As. “There are also many success stories where the student may not have achieved the very highest grades but where they have exceeded their expectations and we are equally proud of them.